Everyone who wants to buy the "Accommodation Facilities" Card at a discounted price have to ask directly to the accommodation facility adhering to the Park's Environmental Quality Label, in which they are staying. 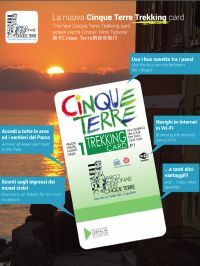 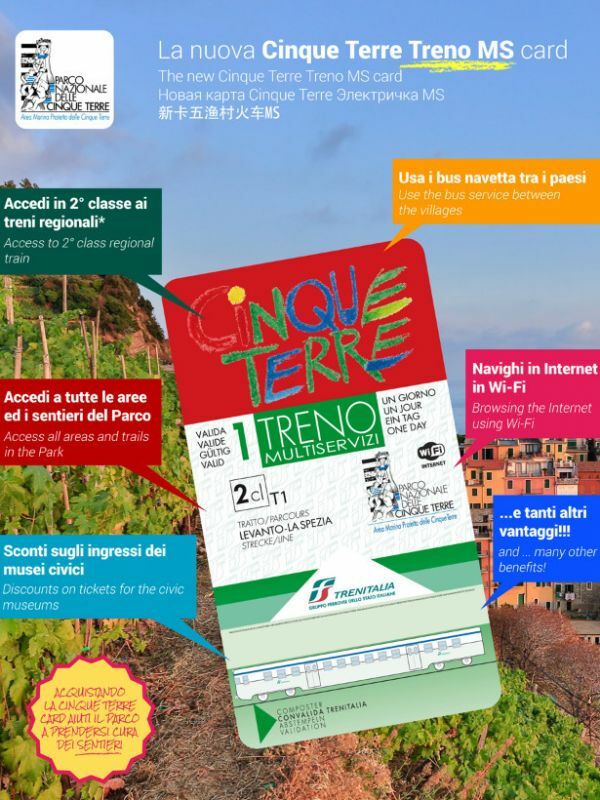 Services are those offered by Cinque Terre Treno MS Card and by Cinque Terre Trekking Card. 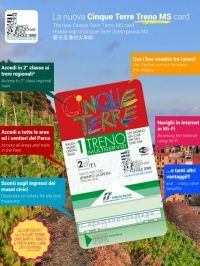 Prices Cinque Terre Trekking Card "Accommodation Facilities"
Prices Cinque Terre Treno MS Card "Accommodation Facilities"
The Cinque Terre Treno MS Card and Trekking Card "Accommodation Facilities" can be purchased online at the accommodation facilities adhering to the Environmental Quality Label 2.0 - ECST Phase II.